According to Mark 2767 (who is involved with the production of Middletown) of IMDB, the Middletown trailer is now available online. or watch it by clicking play below. Who is your favorite Working Title Leading Man? Working Title is currently running a poll, asking readers who their favorite leading man is. Of course, Matthew Macfadyen is one of the choices. Go to Working Title Leading Man poll to vote. This is the trailer for the German dubbed In My Father's Den, which is scheduled to open on November 30, 2006. Unfortunately, Matthew Macfadyen's lovely voice has been dubbed, too. Director: Brian Kirk. Starring: Mathew Macfayden, Daniel Mays, Gerard McSorley, Eva Birthistle. Details: Ireland / 88mins (15A). After spending most of his adult life in a religious institution, Father Gabriel Hunter (Macfayden) returns to instil some values his hometown has lost since he was away. The town, in his eyes, has slipped from the readings of the Bible, and Gabriel is determined to return his people to the path of righteousness. His brother Jim's (Mays) gambling and drinking is first on the agenda before Gabriel moves onto his heavily pregnant sister-in-law, Caroline (Birthwistle), who works in the town pub. Gabriel's fire-and-brimstone speeches don't go over well with Caroline at all, and when she refuses to go to church, it creates an unbearable tension in the family. It's back to the bad old days of the '60s when the church ruled the roost in Ireland, and director Brian Kirk takes a very heavy-handed approach to this age-old material. At 88 minutes, Middletown is a little short to tell the story it wants to tell, as everything seems rushed and the events get out of hand far too quickly. Macfayden plays the puritanical priest like a caricature of Robert Mitchum's role in Night of the Hunter, and is so devoid of character, it's hard to take him seriously (maybe I'm being too hard on Macfayden because Gabriel seems like a brief sketch rather than a flesh-and-blood person).Mays fares a little better as he's got much more to do - but the best performance on view is from Birthistle, the only one to seem at home with her character. It is always heartening to see Irish-made, funded and filmed movies making it into Irish cinemas. So it was with no small degree of goodwill that the Brian Kirk directed feature film Middletown was greeted. Funded partly by the Northern Ireland Film and Television Commission and filmed wholly in the north, Middletown managed to have - on paper at least - a veritable cornucopia of Irish acting talent filling out the cast. Names such as Mick Lally, Richard Dormer, Sorcha Cusack, Gerard McSorley, Frankie McCafferty, Bronagh Gallagher and Lalor Roddy will be well known to anyone familiar with Irish theatre and television. Another non-Irish but still familiar face takes up the lead role - English rising star Matthew MacFadyen whose star has been on the rise ever since appearing alongside Keira Knightley in the costume drama Pride and Prejudice. In fact it was to some surprise that MacFadyen announced that he would be taking the role of Reverend Gabriel Hunter in this small independent Irish film when at the time of the announcement in late 2005 he was being courted by many of the big Hollywood studios. Testament to that is the fact that he has just finished filming a Frank Oz directed picture entitled Death at a Funeral. Director Brian Kirk and his backers must have considerable powers - be it of a monetary or persuasive nature - to have assembled such a cast for a relatively small film. Add to this the writing talent of well-known playwright Darragh Carville and you would assume that there is little that could go wrong with this picture. Unfortunately and perplexingly Middletown is a film that never fulfils expectations. It is the story of small town Ireland and of religious zealotry - of which Ireland has had plenty over the years - conflicting with more secular concerns and forces. It is also the story of family and of two brothers whose lives are travelling in different directions but who eventually collide after years apart. Throughout Irish cinema, television and theatre these themes have been perennial ones but they have been explored so many times now that it is difficult to see the merit of revisiting such themes. Regardless of what may be perceived as the dated nature of these themes there is no doubt that the way they have been approached leaves a lot to be desired. 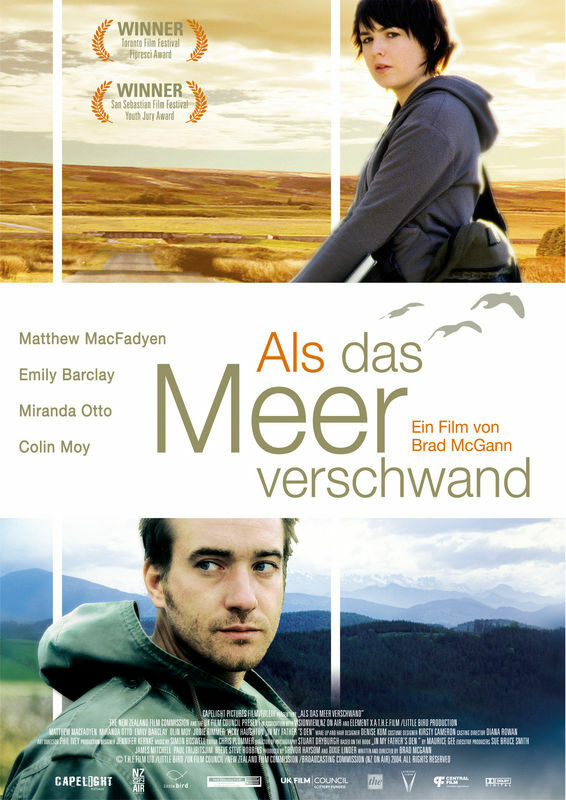 The story begins in the front row pew of the local Protestant church, where a young boy named Gabriel (Matthew MacFadyen) sits as his father and a preacher tell him: "There are certain people who are chosen by God for some special purposes of His own. And we believe you are such a one." Thus unfolds the destiny of Gabriel. After almost an entire lifetime spent in religious instruction, Gabriel returns to his small Irish town as the new preacher. But the town is full of drinking and gambling, and Gabriel's younger brother Jim (Daniel Mays) and sister-in-law Caroline (Eva Birthistle) are no exceptions. Soon Gabriel learns that Caroline does not attend church, and runs the pub across from the church which opens on the Sabbath. Jim, the flat-broke black sheep of the family, quickly becomes caught between his brother's beliefs and his wife's strong-mindedness. As a messenger of God, Gabriel believes he must save the townspeople, especially his brother, his sister-in-law, the couple's unborn child and indeed his own father. MacFadyen and Mays are convincing in their roles as the two quite different brothers. Mays plays the black sheep well and manages to shoe-horn himself into the role despite being badly cast. He looks nothing like his brother and it is inconceivable that he would have attracted the attention of the good-looking Caroline, what with his wild lifestyle and his lack of good looks and money. Richard Dormer, famed for his stage portrayal of snooker legend Alex Higgins in Hurricane, is perhaps the star of the show. He plays the wild and quick-fisted local butcher who is something of a nemesis to Jim yet Dormer's small role highlights the main problem, which are central to any criticisms of Middletown. Characters such as Dormer's butcher are colourful secondary characters and would have helped to keep the audience interested in the central story, yet these periphery figures are not given enough time or space to blossom and fill out the central plot. To use Irish cinematic classic The Field as an example, there are a number of ‘locals' who really add to the central plot of the Jim Sheridan-directed film which is as bleak and brutal as Middletown. Why did the director and the writers not make more use of the talents of Mick Lally, Bronagh Gallagher, Frankie McCafferty and Sorcha Cusack to bring the town of Middletown to life? As it is the stories of Jim and Gabriel become less and less believable as the story progresses towards its climax. When the ending does come it is rather perplexing and unconvincing that such a thing should occur and the viewer is left with a feeling that we do not fully appreciate why these things are happening. Middletown is in cinemas on Friday, November 3.